Keriann Wilmot is a pediatric occupational therapist who analyzes how toys help children reach developmental milestones. Are your children begging you for a hoverboard? Not only are they expensive, because most cost anywhere between $400-$1000, but there really are several great reasons you should not buy hoverboards. Hoverboards are electric, hands-free, self-balancing scooters that people stand on and ride. It's like a mini-segway without a handle. It's the first toy we've ever seen in modern day life that most resembles Marty McFly's skateboard from "Back to the Future" or something we would have watched on the "Jetsons" and dreamed about owning someday. While the name hoverboard gives the perception of flying, riders stand on a board with two wheels, balance on them and shift their weight slightly to move forward, reverse or to spin around in circles. The speed of a hoverboard ranges depending upon the brand. Most move at speeds from 6 mph to 15 mph. These portable people movers not only get you from one destination to another, at a speed certainly faster than walking, but Hoverboards have a major cool factor that will have kids begging for their own. You can hear the demands now: "But Mom, I can use one to ride it to school so you won't have to drive me," or "My college classes are so far away, I'll be able to get there faster and on time if I'm on a Hoverboard," or "OMG on our class trip to Spain this semester, this will be amazing." There are many considerations to think of before you buy one, especially if you are considering one as an option for a child. According to the CPSC.gov, the Consumer Products Safety Commission, they are investigating hoverboards. They have data showing that more than 40 hoverboards have caught on fire and/or exploded in more than 19 states. These incidents are so serious that Amazon.com has also released a statement that any hoverboards that have been purchased from their site, even if they are still in good condition can be returned, free of charge. It is unclear as to whether the circuit boards or lithium-ion batteries are the cause of the fires, but in any case, should you own a hoverboard, it is suggested to charge the transporter with supervision, in an open area, away from combustible materials, and keep a fire extinguisher nearby. There is even a risk that it could blow-up while you supervise it charging. 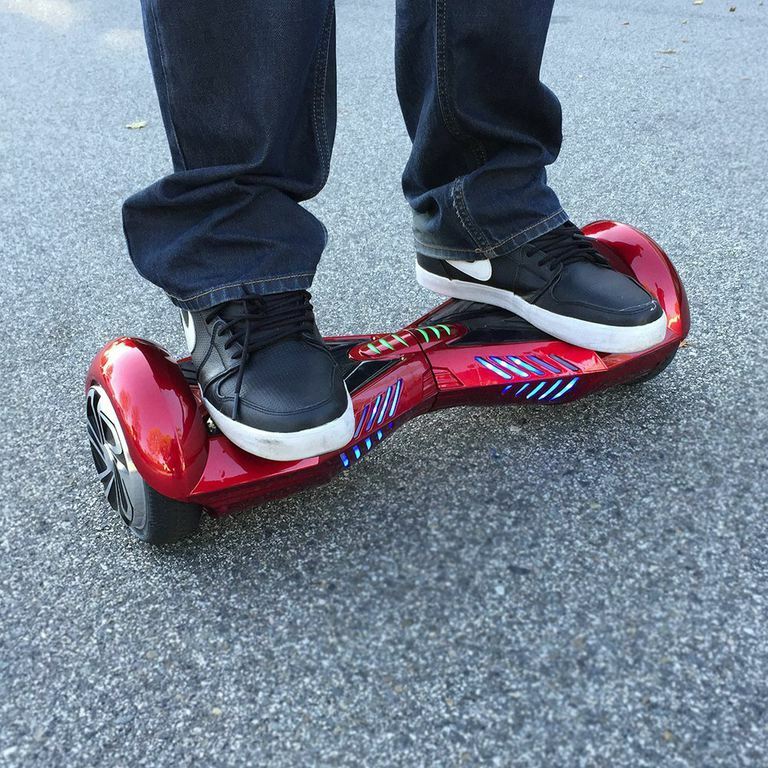 Depending upon the features of the board and the brand, prices of hoverboards can vary. You can buy Hoverboards ranging from $400 to $1000. They are not inexpensive and quite an investment. It is important to ignore those great deals from overseas, knock-off models. These are the brands being investigated for faulty parts. Not only are there fires associated with hoverboards, but there may also be other personal liability you have to think about. Perhaps your child invites a neighborhood friend over to your home. The friend wants to take a ride on the hoverboard. The friend hops on without wearing a helmet or protective pads and falls, breaking a bone, and suffering from a concussion or even worse, a life-altering traumatic brain injury. Kids are kids, but you need to know you could be personally held liable and sued for an accident on your property, under your supervision. The same is true if you are driving in a vehicle on the road and a child is on a bicycle or a Hoverboard, they could be in danger of being hit while riding on roads or on sidewalks. Most hoverboards are not recommended for use for children under the age of 13. However, there are many parents who have not followed this warning. Kids are young and spontaneous; their judgment and decision-making skills aren't fully developed. Do not trust them to be in control of a board that can drive at a speed of up to 15 mph. There are already serious reports of hoverboard injuries that include falls, fractures, brain injuries and broken bones from riders not only falling off their hoverboard, because they were not wearing protective helmets or pads. In warm weather climates, there may be an urge to hop on without shoes, or while wearing flip-flops. If you decide that you will allow a hoverboard in your home, or that your child is capable of using one, protective gear and good, supportive shoes must be a requirement at all times. Hoverboards don't have air-filled tires like bicycles. Just like traditional scooters aren't safe to jump curbs or transverse uneven ground, neither are hoverboards. They are best used on smooth flat surfaces. Some cities have exposed roots on the sidewalks, cobblestone areas and steep hills so look at your neighborhood. Think about the area you live in and where your child or even teenager may want to ride, it's possible they just aren't a great match. Hoverboards are banned from airports due to their lithium-ion batteries, and they can not even be checked in luggage. And, many colleges and schools have banned hoverboards from their campuses. Don't let a child's crafty, smart and well thought out reasons sway you into buying one. For good reasons and the safety of others, they aren't widely accepted in public places. Pay special attention to how much drive time a hoverboard has once it is fully charged. Some include continuous minutes of run time around 115 minutes, others may have up to 6 hours. Riders will need to plan ahead and give special attention to where their destination is to make sure they not only have ample battery life but whether they will be riding at night or in the daytime. Don't think of a hoverboard as a replacement for a bike. They will get kids outside, but they do not require the amount of strength and coordination a child would use if they were bicycling, so they aren't a replacement for exercise or family fitness. The risks and costs associated with buying a Hoverboard, especially for a young child, outweigh any potential rewards. If you or someone you know has suffered an injury from a hoverboard, report it to the Consumer Products Safety Commission at SaferProducts.gov. There are more safety tips on hoverboard use from the Consumer Products Safety Commission.